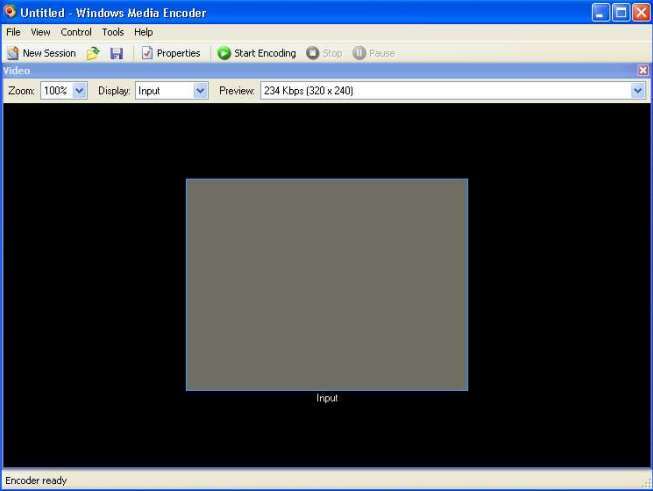 Encoding for WM2003 is basically just like Encoding for PPC2002 but the newer WM2003 can handle a bit more bitrate and give better looking video. 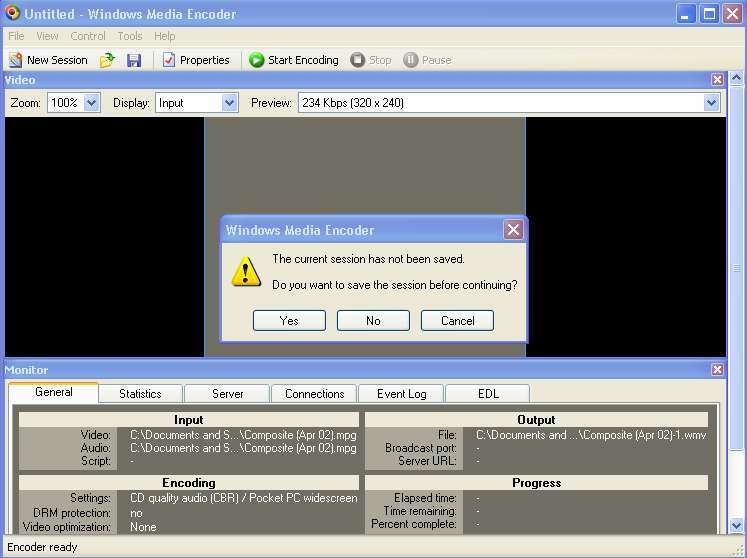 By using this method in Window Media Encoder it allows you to do just that. 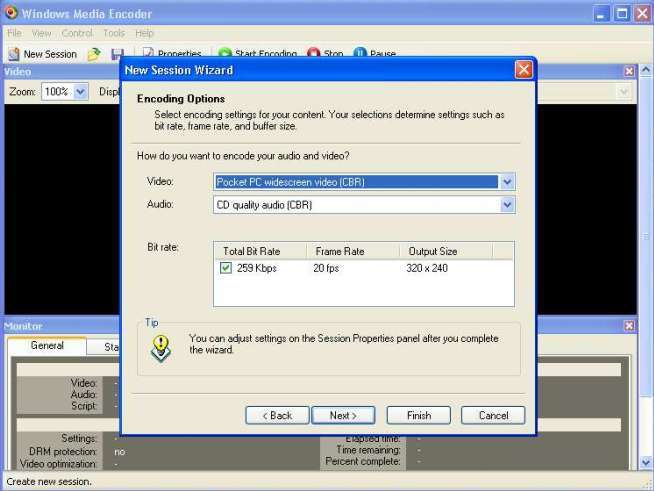 You can change the audio bitrates ,video bitrates, use cropping and change screen sizes plus other settings that you can make to get the results you want. 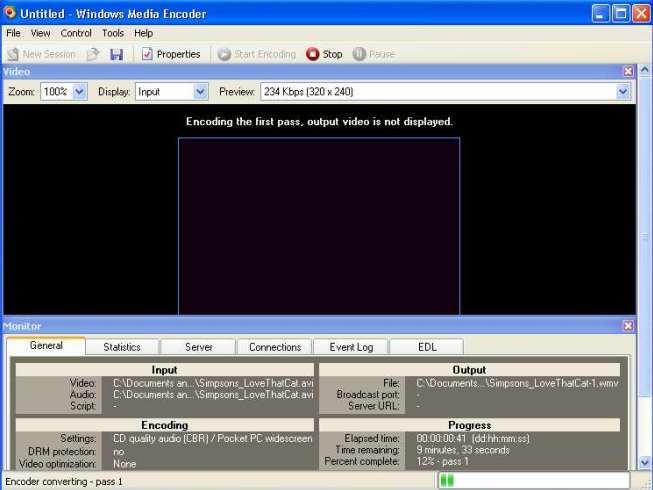 This Guide can also be used for PPC2002 to adjust the bitrates and such if you don't want to use the recommended settings from the other WM Encoding guide I have onsite. 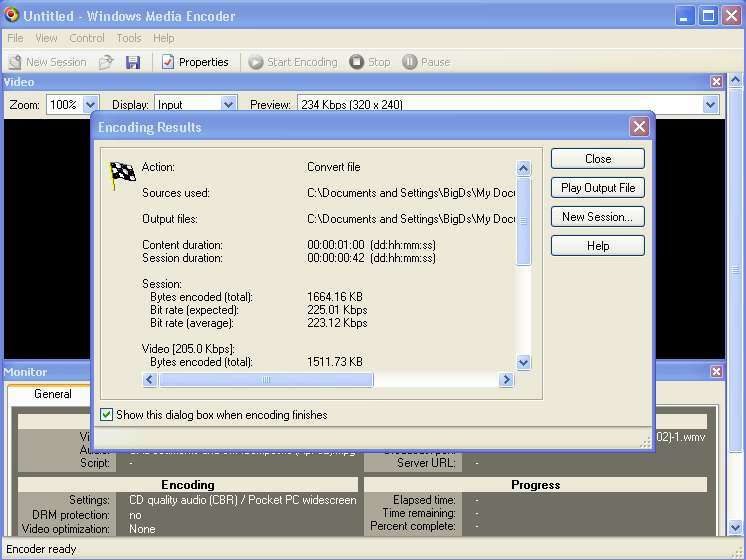 This Guide will allow you to lower bitrates also to get better playback on PPC2002. 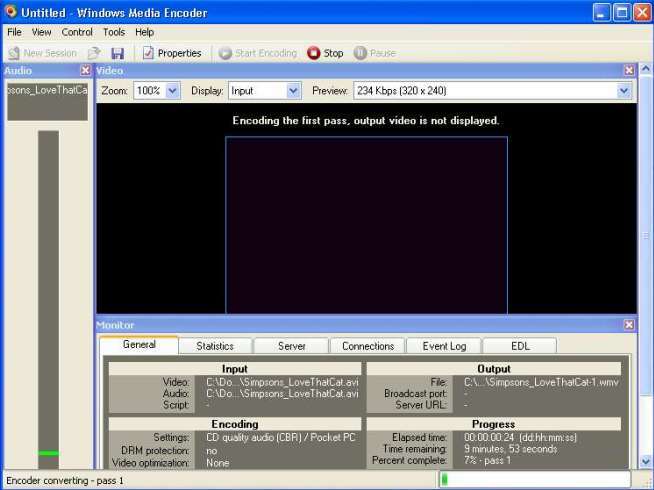 But be warned using a higher bitrate can produce poor quality for PPC2002. You should not take my settings that I used in this guide to be the best settings to use. Its all up to individual taste and size of CPU powering your PocketPC. You be the judge whether to lower or raise the settings to meet your expectations of the outcome. 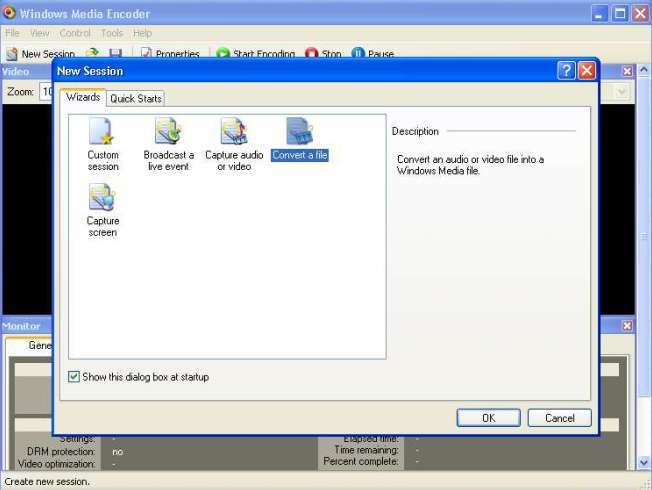 The Guide below is just to show you each step of the process.You can find Windows Media Encoder here http://www.microsoft.com/windows/windowsmedia/download/default.asp Just click on the first drop down arrow and choose from the list. 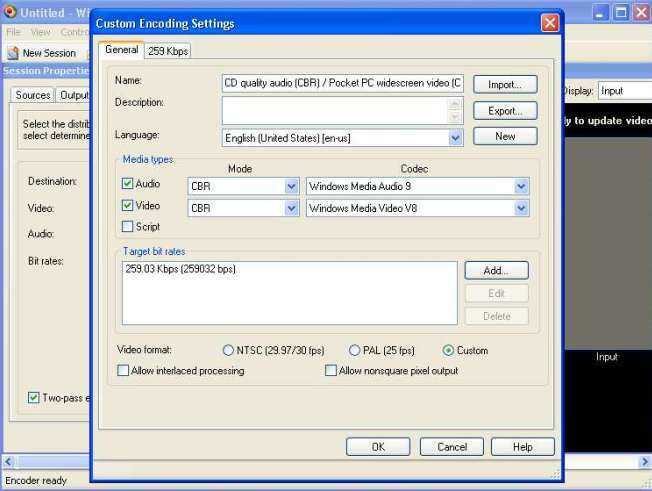 Note below if you are encoding for PPC2002 you may want to choose the drop down arrow in the audio part and choose Voice quality audio for this will not be so CPU intensive as the CD quality audio. 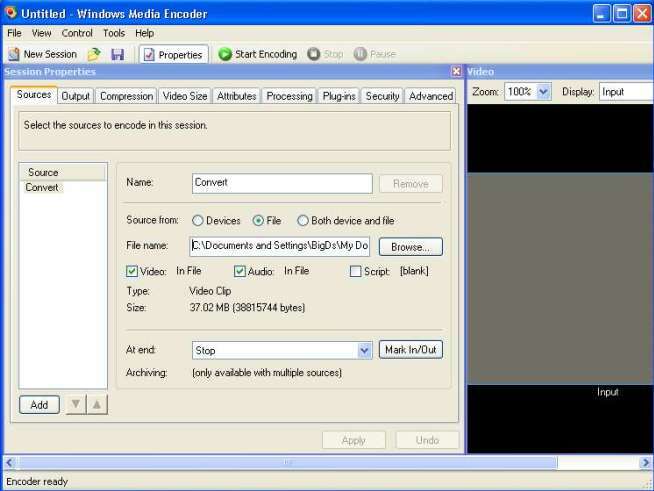 Note below that you can choose different Codecs for audio and video. 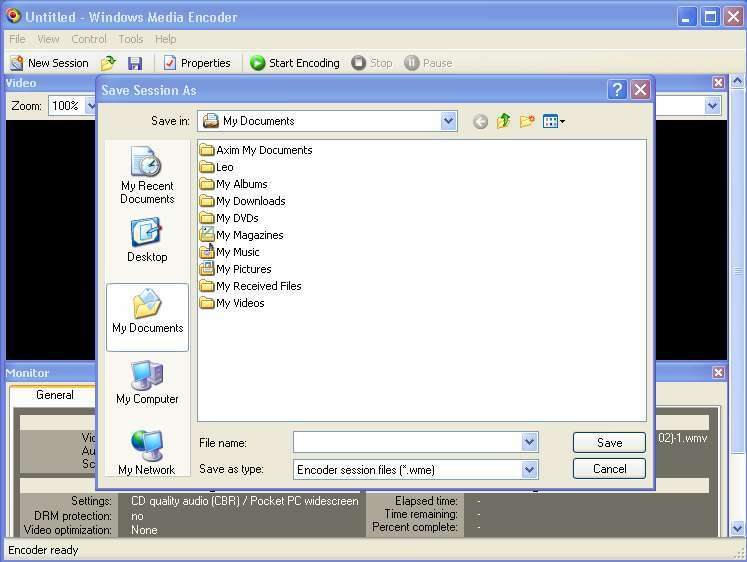 Audio is ok to be left at Windows Media Audio 9 for all devices but when it comes to Video only the WM2003 is compatible with Windows Media Video 9. For PPC 2000 I suggest using WMV7, and WMV8 for PPC2002. 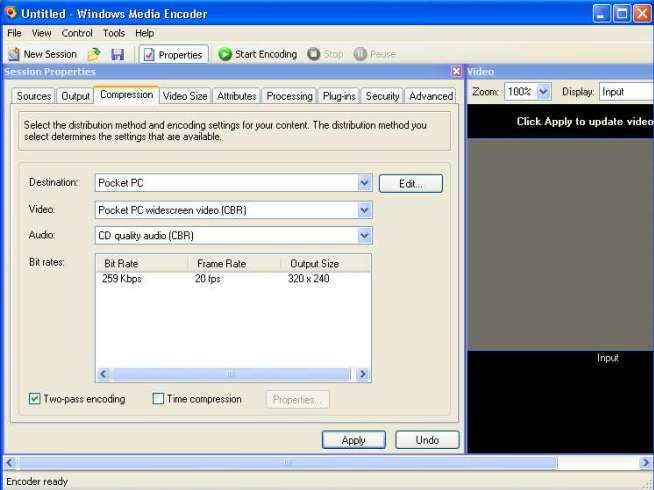 Below you will be choosing the Audio and Video bitrates and also the Frame rate of your video...A slower Frame rate will give smoother video play back on smaller Pocket PC's . I suggest using 12fps on PPC2000 and PPC2002 and 15fps on WM2003. 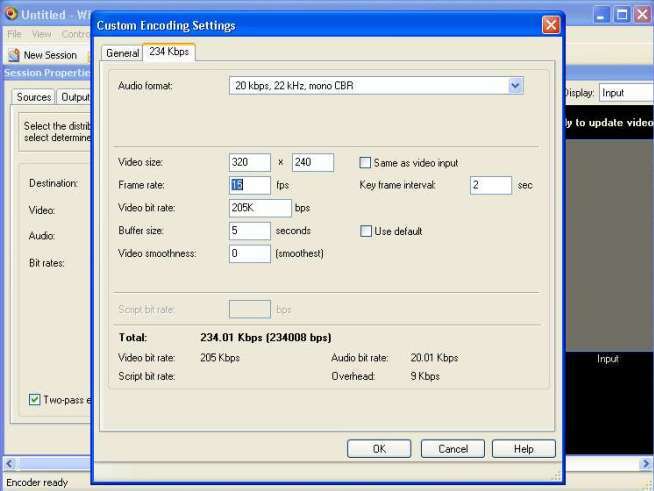 As for as audio goes it can make a huge difference in your final video size by choosing a lower bitrate and using mono sound. 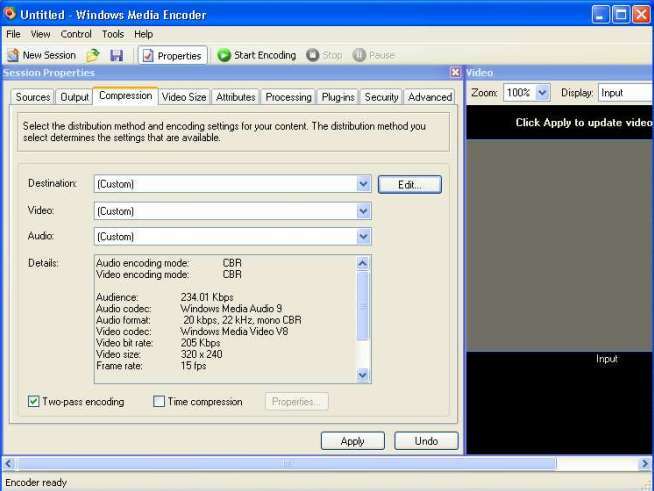 I suggest using audio at 20kbps 22khz mono.Now on Video bitrate you can go say as low as 150Kbps and as high as 300Kbps just depending on your Pocket PC and the quality and size of your video. I suggest starting at around 200Kbps and go from there. Do some small 2-3 min. Video test and play around with the settings until you get a satisfactory outcome. Note do not forget to add the K in the Video bitrate box when entering your bitrate to use. After choosing Apply all thats left to do is choose Start Encoding. I recommend you just do a short 2-3 min. 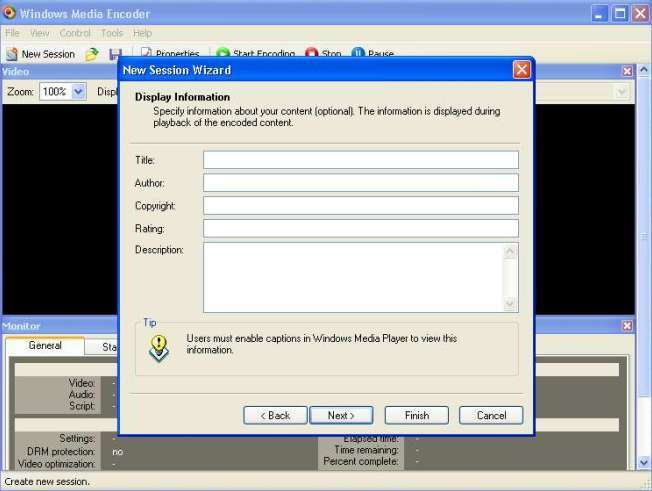 test to get the quality and size that you are after and once you find the right settings don't forget to save your settings before closing out of WM Encoder, This way the next time you want to encode a video you just open up the template you used and just enter the file you want to convert and then start the encoding process without going through all the settings again. 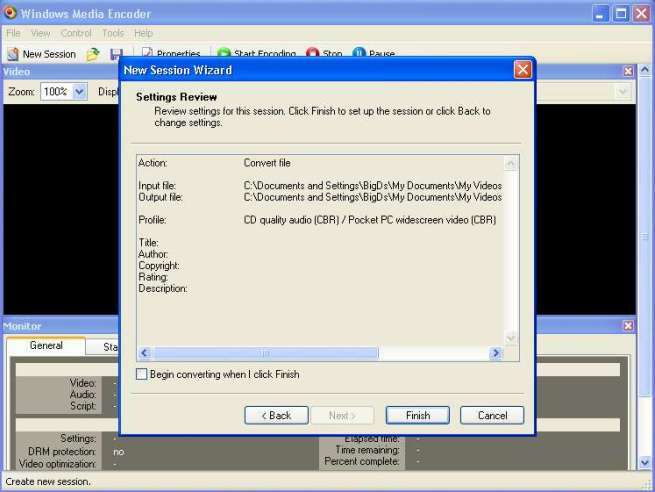 And don't forget by choosing to save your session, The next time you want to convert a video all you have to do is open the folder you have saved your Session to and when WM Encoder opens up, Browse for your Video to be converted and then just Start the Encoder without going through all the settings.